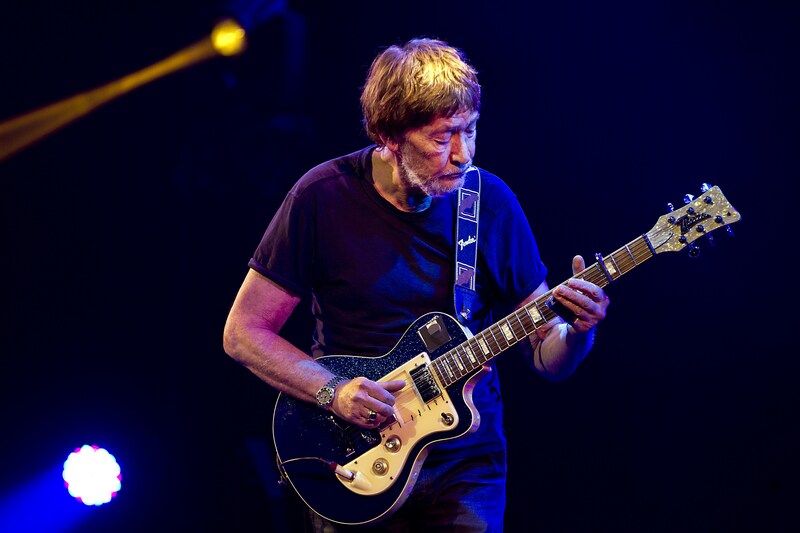 Chris Rea was rushed to hospital on Saturday (December 9) after collapsing on stage during a concert. The veteran musician was described as "falling into a clump" by one audience member, at a gig at the New Theatre in Oxford. The incident occurred a year after Rea suffered a stroke. Rea is now said to be in a "stable condition". A spokeswoman for South Central Ambulance Service said: “An ambulance was called at 9.30pm to an incident in George St in Oxford. Concert-goer Darren Fewins said that the musician had been on stage for 40 to 45 minutes, before falling backwards. "He was standing by the microphone and he had the guitar in his hand and he kept shaking his left hand as if there was something not quite right with it," he said. "He walked forward to the microphone and he was trying to grab the microphone with his left hand, and it was swinging from side-to-side. I'm at the New Theatre Oxford. Moments after I took this photo Chris Rea collapsed on stage. "I thought at first there was something wrong with it and he was trying to keep it steady. He then took three or four steps backwards. "Then he just collapsed on the stage backwards. There was no one there to catch him, he just fell into a clump. He was on his back for about two minutes before they brought the curtain down and then that was it." Fewins added that Rea "looked brilliant" before his collapse, and that he had been talking to the crowd and asking them to clap along to the songs. "He looked fit, he looked well. He was changing guitars every song, and he just looked like someone who I have seen several times and was playing the best I have ever seen," he said. Chris Rea is best known for his hit singles 'The Road to Hell' and 'Driving Home for Christmas' among many others, and has 23 albums during his career.